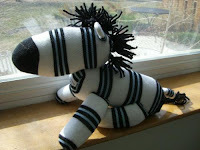 Tomorrow is the last day to sign up for the sock and glove animal craft swap. (see details here). We still have a few spots available. See the instructions and links to patterns in the initial post. If you want to join in, comment here or email me quick!